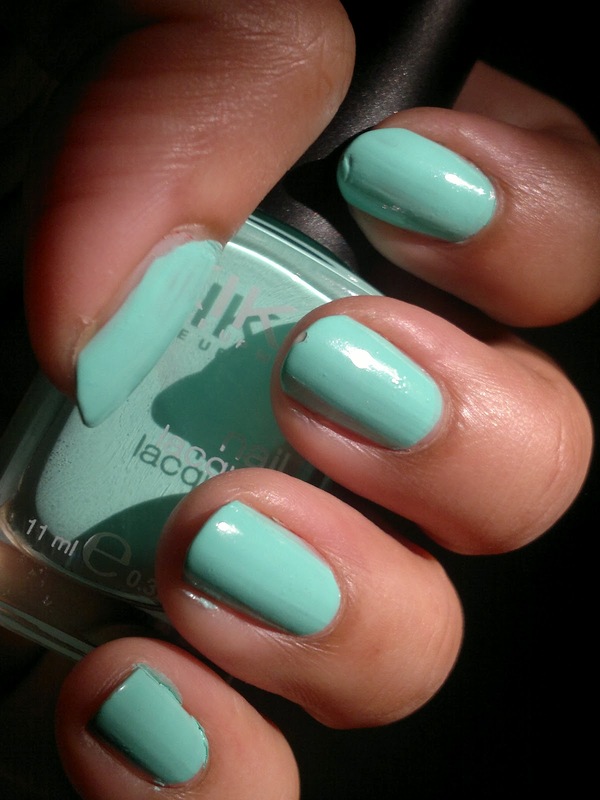 Nails of the week: MINT !!! We have arrived at Wednesday, which for me marks the fun weekend being away by just two days. And also, marks for all of us here the Nails of the Week. MINT is a big trend worldwide currently for shoes, belts, bags, apparel, and even nail paints. Most of you would recall that I asked one of my friends for MINT nail paint from KIKO cosmetics, Italy (shown here), which I am reviewing today. Price: 4.5 euros (approx. INR 337.50) (got it at discounted price of 2.5 euros, approximately INR 187.50). 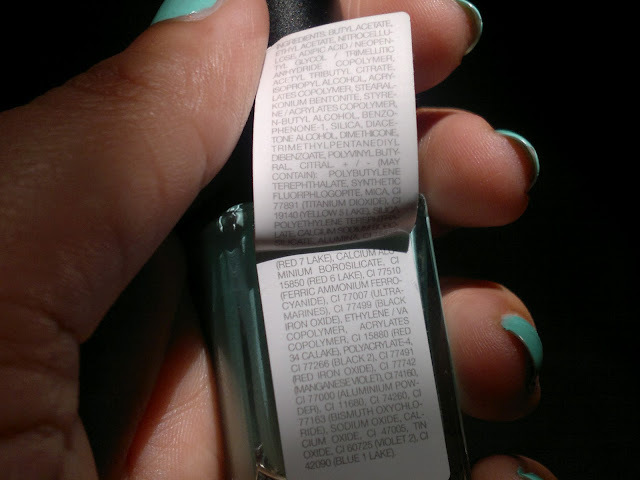 Packaging is quiet sturdy with a square glass bottle having the nail paint. The cap is small and houses the brush, which is wide enough to coat the nail in two strokes, which I quiet like. On opening the bottle, I was a bit disappointed to see that the nail paint was quiet thick, though not because of drying. The finish of the nail paint is quiet creamy and the fluidity reflects the same. Easier to apply if you go for thicker strokes. Even though my application was quiet streaky, it all came out quiet smooth. The staying power of the nail paint is awesomest ever. Has been on my nails since Friday, and as you can see there is no chipping at all, even with all the household chores. I am quiet loving this minty nail paint and it would definitely be adorning my nails for quiet some time now. lovely... looks similar to Revlon's Minted..